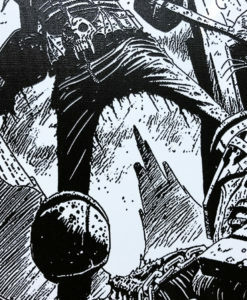 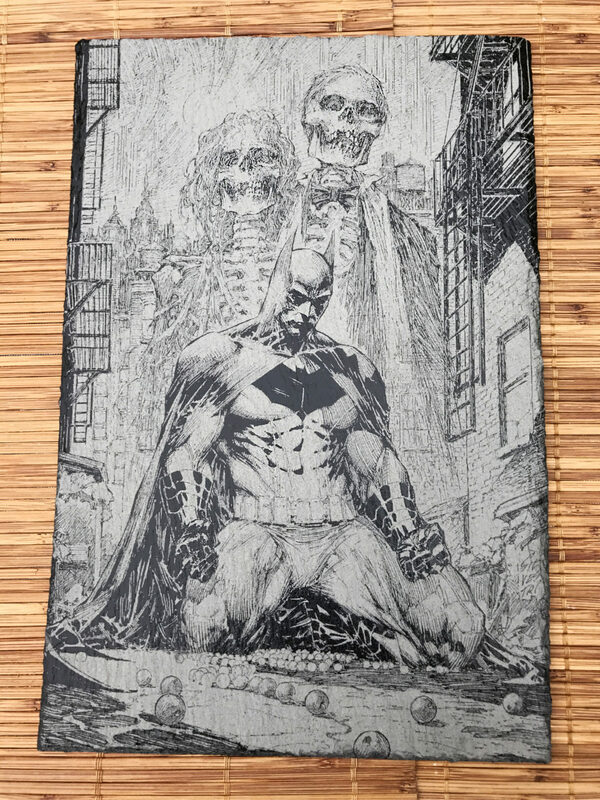 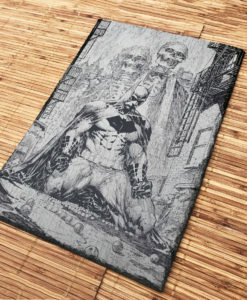 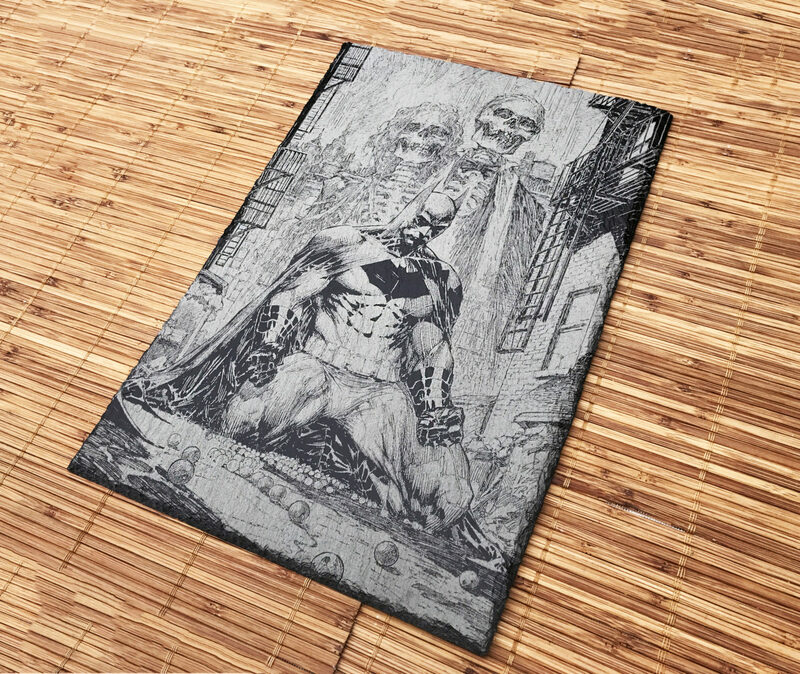 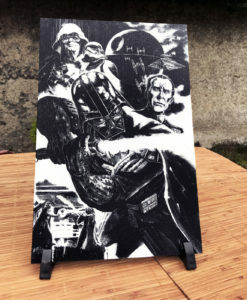 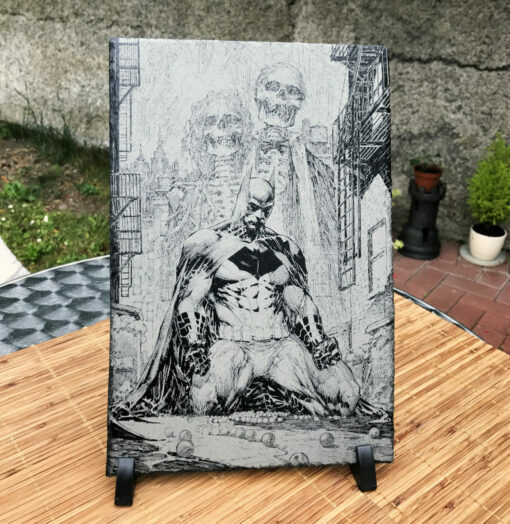 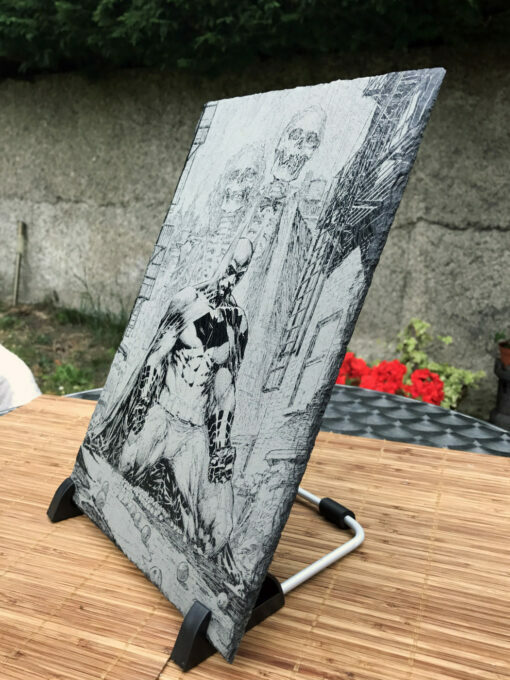 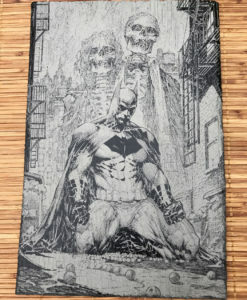 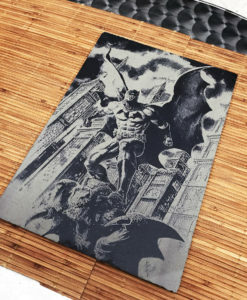 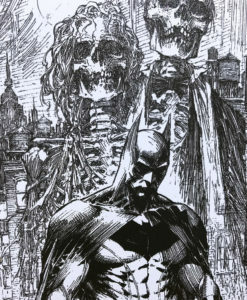 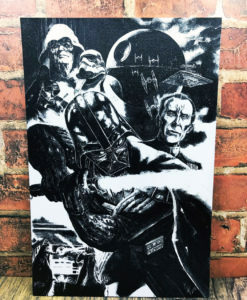 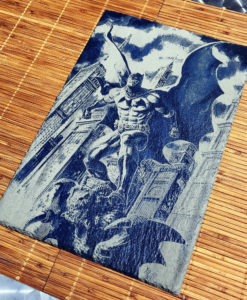 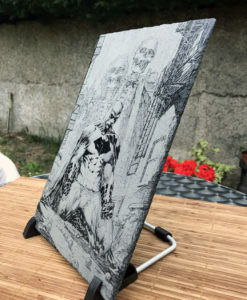 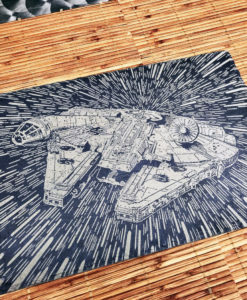 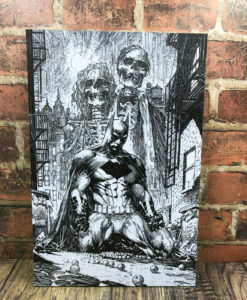 Laser engraved Batman graphic novel scene on a 300x200mm(12×8 inches) piece of natural slate. 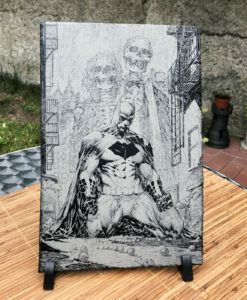 Weight also varies and is between 750-950 grams(1.65-2.09 pounds). 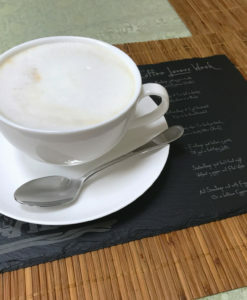 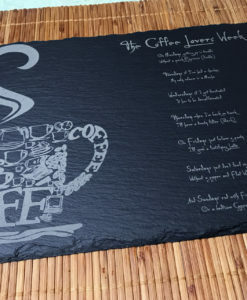 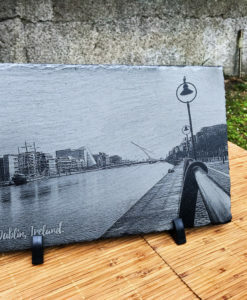 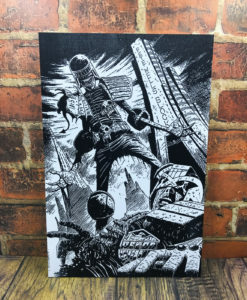 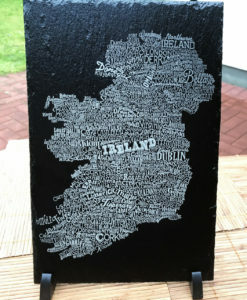 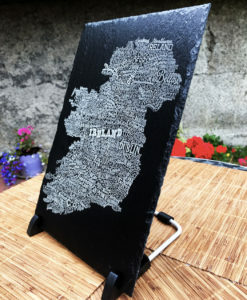 This piece is not offered in plain slate, it has a black tint applied. 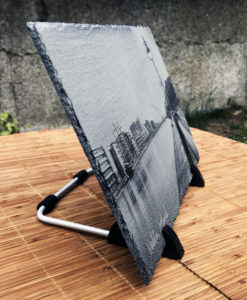 The reason, raw slate doesn’t suit this particular image, and the black adds contrast which makes the whole thing “pop”.